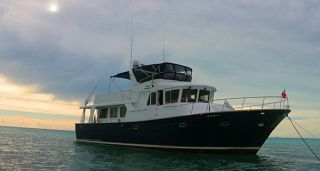 IS YOUR VESSEL A TRAWLER OR A MOTOR YACHT? 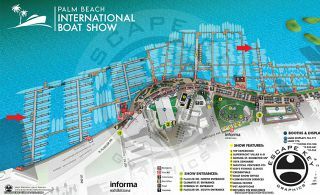 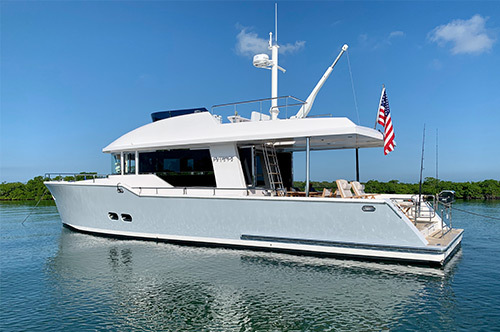 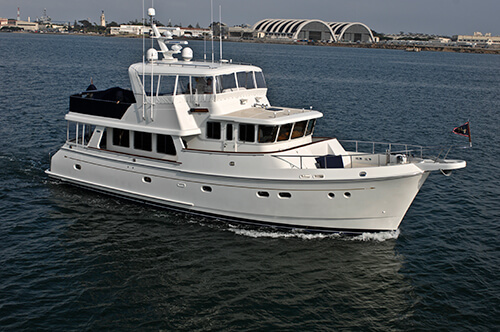 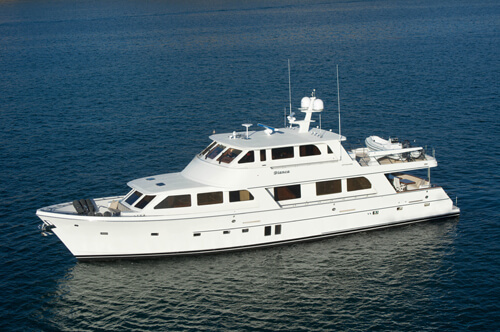 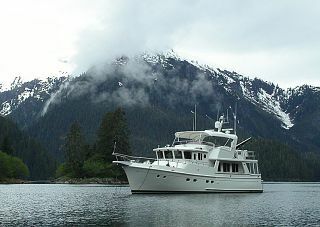 A question that I am often asked at boat shows recently, when attendees wish to get aboard the new Alaskan 70 classic motor yacht, is: “May I come aboard your Alaskan trawler?” My answer, of course is: Yes, please come aboard, but this vessel is not a trawler, it is a classic, semi displacement design that actually will go 20 knots if you wish! 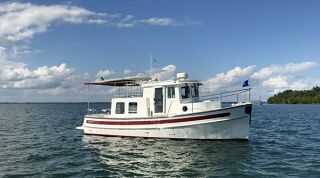 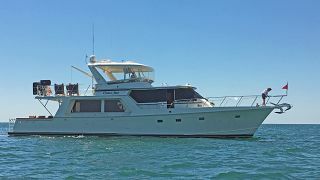 Many of these individuals either have a displacement, slow speed trawler, or have done some cruising with a friend who has a design of this type, and they are quite amazed that this classic looking, timeless design can actually go that fast. 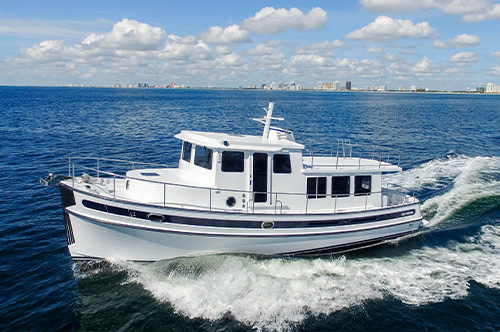 The next question usually is: This boat must burn an incredible amount of fuel, even at slower cruising speeds, to which my answer is: With the extremely efficient Caterpillar C18 Acert engines, the boat burns a total of 6 gallon per hour at 8.4 knots and approximately 9 gallons per hour at 10 knots. 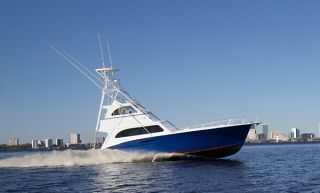 This remarkable fact is due to the latest electronic diesel technology, which allows for efficient fuel/air management at lower RPM’s and allows equal slow speed efficiency compared to displacement trawlers with very small engines. 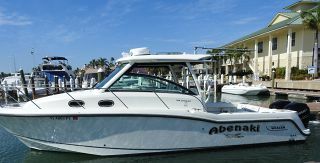 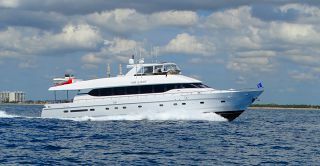 As a result, this vessel has fantastic dual purpose capability…slow and efficient when needed, yet the ability to travel at much faster motor yacht speeds if weather or time restrictions demand that the boat be somewhere sooner than later. 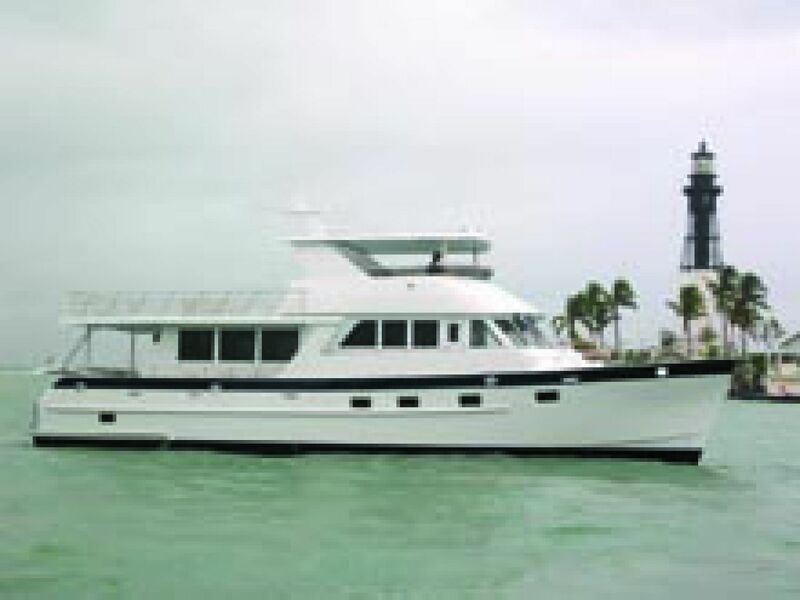 How many times, while cruising in either perfect or lousy weather, have we just wanted to get back to port, or get around a thunder storm system, and wished for “more speed please”….Now you can have the best of both worlds: Classic, timeless looks, efficiency and comfort, plus 20 knots to get you back home whenever you wish.